SR13 DORSEY-COLOMB TRANSPORTATION/DEV DEPT - Requests the Department of Transportation and Development to incorporate an East Washington Street exit plan into its road design plan. 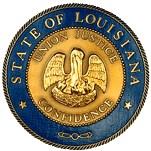 HB450 SCHRODER HIGHWAYS - Designates a portion of La. Highway 21 in St. Tammany Parish as "South Tyler Street"